Whether you’ll be joining us for Empower 2014 or not, we have resources that you should be aware of. CD107: Introduction to Laserfiche Answers: Take a look at our new online collaboration tool that allows members of a community to share information by asking and answering questions on a specific topic. Learn about Laserfiche Answers and how you can get involved, and learn how implementing a Q&A system can benefit your organization. Join this session on Thursday (1/16) at 9:45 a.m. in Marquis Northeast. EDM204: Deployment Tips and Tricks: Before you roll out a new system or upgrade an older one, learn practical tips and tricks for making sure your deployment is comprehensive and successful. Join this session on Friday (1/17) at 9:45 a.m. in Platinum 9-10. EDM206: Web Deployment Case Studies: This course presents deployment scenarios and use cases for how Laserfiche web products can provide a variety of access and authentication methods. Join this session on Wednesday (1/15) at 11:00 a.m. in Newport/RPL or Friday (1/17) at 1:30 p.m. in Platinum 9-10. 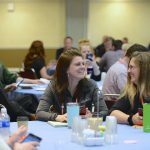 Even if you can’t make it to this year’s conference, you can still make use of our education resources. After the conference, our presentations will be posted to the Laserfiche Support Site and videos of our “customer story” classes will be posted as well. 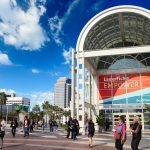 Whether you attend the conference or not, get involved in our community by joining the conversation on Laserfiche Answers, tag Empower14, or on Twitter at #Empower14. See what people are saying and stay in the loop!